twingle mommmy: You Don't Have to Love Every Minute of Motherhood. You Don't Have to Love Every Minute of Motherhood. I hate when people say to enjoy every single moment of parenting. Being a mother isn't glamorous. It's sometimes tedious and a yucky job. There are good and bad aspects of everything and motherhood is no different. You don't have to love every minute of motherhood. Thinking that you should enjoy being a parent every single moment is a fantastic way to feel like a failure when the journey is less than perfect. Or hard. Or not what you expected. Like when your kids are sick. Personally I don't enjoy my kids being sick. Compared to Kindergarten my daughter is doing much better staying healthy. I'm extremely happy we decided to remove her tonsils over the summer. We made it all the way to January before she had a sick day. Not too bad all things considered. The other two kids are a different story. Last night I decided that the worst way for a kid to wake you up is to tell you that they threw up in their bed. There is nothing worse than having to change sheets and pjs in the middle of the night. Until said child doesn't stop throwing up and you're up most of the night with her. Thankfully at 6 she can keep a trash can in her bed and actually use it. Again the other two, not so much. There is nothing more pitiful than a sick kid. It makes my heart sad seeing her sick. I do not enjoy these moments. She keeps telling me that this is the best day ever. You know between complaining about her stomach hurting. I love her sweet spirit. She's just happy to be home with mommy. I really hope no one else catches this stomach bug. I'm pretty sure that is impossible though. I'm exhausted from being up all night with her. All I want is a nap. For some reason my sweet Isabella isn't falling asleep so no nap for me so far. So next time you're in the trenches of motherhood and someone tells you to enjoy every single moment just nod and smile. 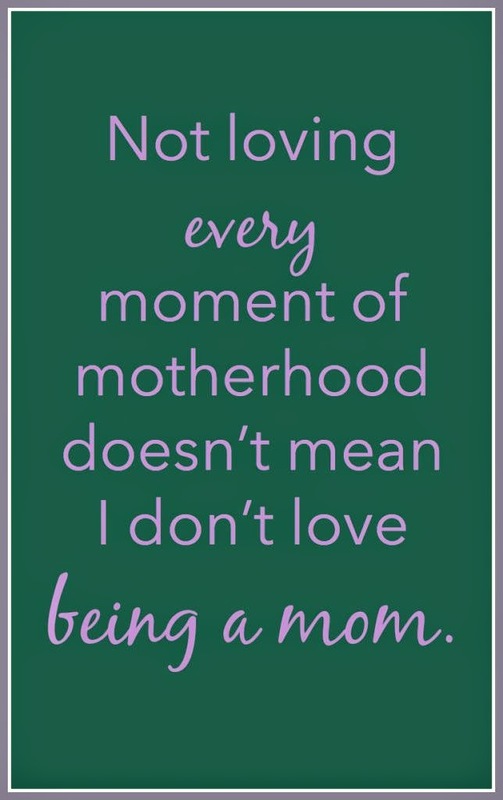 And then remember that they mean well but it's impossible to enjoy every moment of motherhood. But the journey as a whole, well there is just nothing better than being a mother. Though I'm with you- not every single moment is a fantastic, enjoyable moment. I hope your daughter is feeling better soon! Thanks she is better but of course now it's running through the family.